Again, if it is humming, it is jammed, so keep at it. If it isn’t humming, its tripped at the reset or the fuse (it’s not getting power! ), OR its dead. The only thing you can’t fix is dead…. If after trying the above steps, you still cannot unclog the disposal, call the office. Do not run your dishwasher while your disposal is clogged, as it may cause the dishwasher to back up and flood. The approximate cost of unclogging a disposal is $40-$50+ (a plumber will run $60-80) for normal business hours calls. If you burn up the motor by leaving it on while clogged: a lot more than that ($200+). Note, clogged disposals are not maintenance emergencies. Just clean up and leave it until the next business day. Got a stinky sink? Sounds like a machine gun is rat a tat tatting? Check these out from Insinkerator, one of the leading disposal manufacturers. 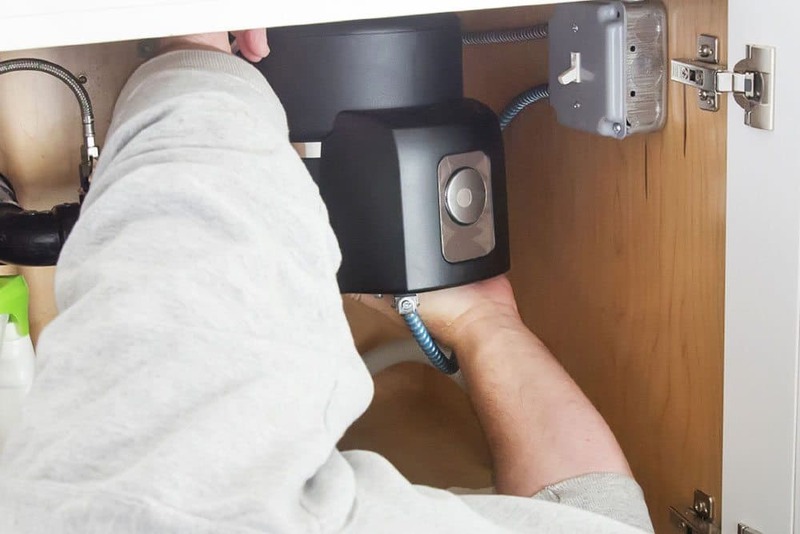 This next video covers some basics, and shows you how to remove the disposal if you really want to get into it, but that’s pretty advanced and you can make a heck of a mess if the sink is full of stuff. This one has some sketchy production values, but is pretty extensive.